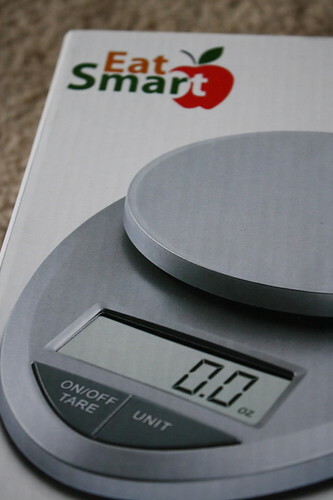 After Karen from EatSmart reached out to me on twitter, I received a product I have always wanted in my kitchen: a digital scale! One of the reasons I always wanted a kitchen scale was for portion control, especially with cereal or snacks. 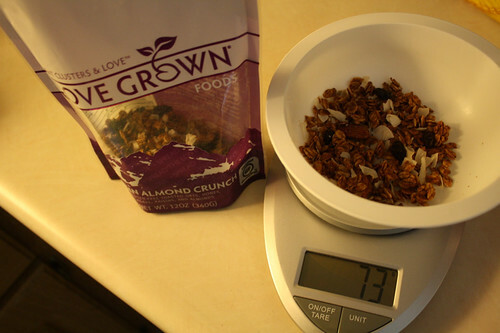 I weighed a bowl of Love Grown granola. In this case, I forgot to zero out the scale, so I just weighed the bowl (38 g) and subtracted that number from the one shown below. 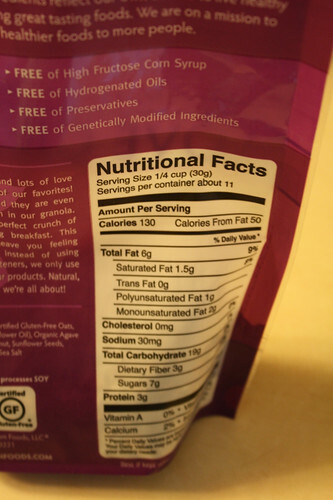 I ate 35 grams of granola, or just a little over the serving size. This scale is definitely great for keeping my granola habit in check! I also love that I don't have to use a measuring cup to see what size portion I am eating. 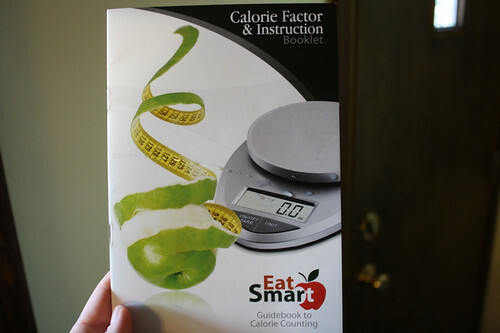 My scale came with this great book, which has basic instructions and the calorie factor numbers. 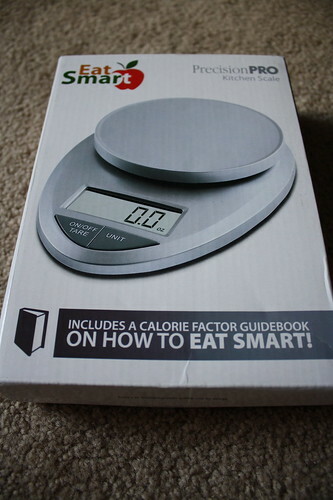 The $69.95 scale actually has 1,000 nutritional values programmed in if you want something more sophisticated. I cut up some strawberries for my lunch and decided to experiment with them to see how many calories they would equal out to. 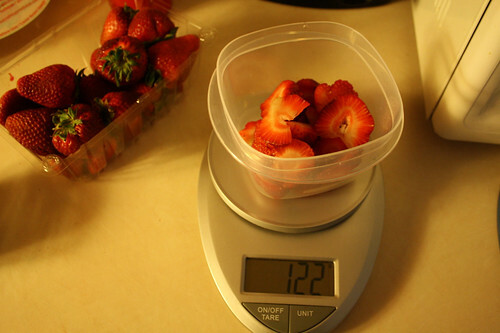 So, I looked up the calorie factor for raw strawberries, which is .32 and multiplied it by how much they weighed on the scale. 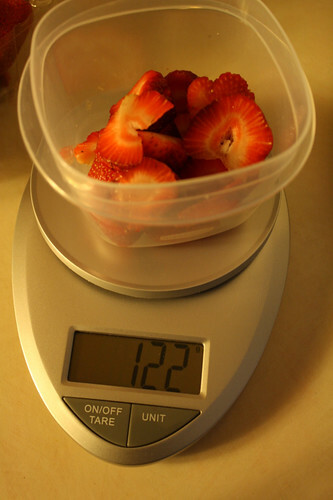 I zeroed out the scale this time and then weighed my strawberries. I ate 39.04 calories with that serving size of strawberries for lunch today. 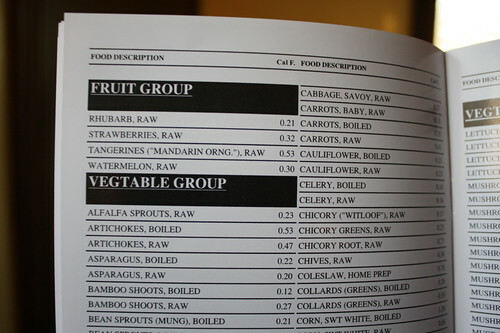 This is great for when I count calories and really want to closely keep track of what I am taking in each day. 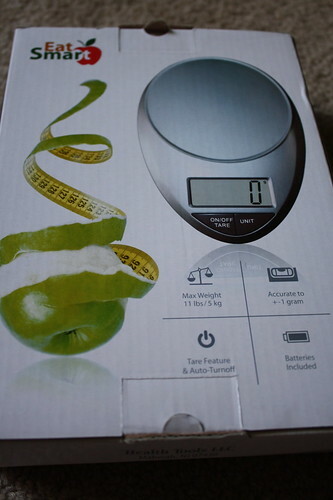 While I haven't used other digital kitchen scales to compare this one to, I would definitely recommend this product! It retails for $25 on Amazon. Obviously I am not the only person to have really enjoyed this product because the precision pro scale is rated 4.8 of 5 stars on Amazon! That is pretty spectacular! 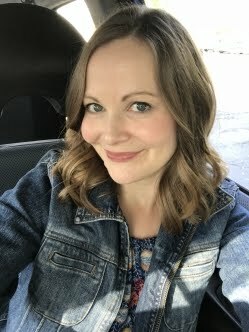 Thank you to EatSmart for reaching out to me and letting me try this product! Do you own a kitchen scale? I have almost every kitchen gadget but a kitchen scale. Since I bake all the time, I think it would be especially useful in measuring flour.